Platelet Rich Plasma, or PRP, is a medical therapy that injects a concentration of the body’s own platelets into an area to promote accelerated repair of the tissue of damaged ligaments, tendons, and joints. Unlike other medical treatments designed to assist in recovery and healing associated with muscle, joint, ligament, or tendon damage, PRP offers patients a potential long-term solution for the issue, not a treatment that provides temporary relief of pain and discomfort associated with the injury. How is Platelet Rich Plasma Created and Administered? Creating platelet rich plasma is a fairly quick and convenient process that can be completed during an office visit to your physician. Your doctor will draw a small amount of blood, similar to the amount drawn for a blood test, which is then placed in a centrifuge. The centrifuge separates the concentrated platelets from red blood cells; the concentrated platelet rich plasma is then ready for use as part of your treatment process. Once prepared, the PRP is then injected directly into the injured or damaged muscle, joint, tendon, or ligament. While not a required part of the PRP administration process, your doctor will often use medical imagery guidance (x-ray or ultrasound) to ensure the injections are being injected into the appropriate and afflicted location. What are the Risks Associated with Platelet Rich Plasma? Platelet rich plasma injections are considered safe, low-risk procedures and have only minor complications associated with the procedure. 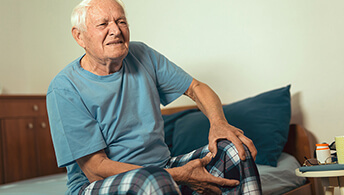 Like any injection or minor medical procedure, it is common to experience pain and discomfort around the injection site; this pain typically fades after one to two days. Unlike most injections, it is essential that patients avoid anti-inflammatory medications, including OTC pain medications when receiving PRP therapy, these medications have could slow the healing process associated with this treatment. How Often is Platelet Rich Plasma Required? A typical series of PRP injections will range between two and six injections, but will also depend on the location of the injury and the patient’s individual reaction to PRP treatment. It is common for patients to experience the most significant healing between injections one and two, with most treatment series lasting between a month and six weeks. PRP presents patients with a long lasting, permanent solution that will not wear off over time as with a traditional pain injection. Since PRP therapy offers long-term, or even permanent treatment, it is thought that is could also be a viable alternative to invasive surgeries, including joint replacement and spinal fusion surgeries.